The U.S. Small Business Administration provides financial, technical and management assistance to help Americans start, run, and grow their businesses. SBA’s programs include financial and federal contract procurement assistance, management assistance, and specialized outreach to women, minorities and armed forces veterans. This IRS website provides business resources, guidance on tax-related responsibilities for an employer, small business forms and publications, information about deductible business expenses, self-employment filing requirements, and online learning and educational products. This website provides all you need to know about Intellectual Property. It contains information regarding patent, trademarks, forms, fees, guides and manuals. You can do searches and find out whether a name or idea has been taken or developed before you make the decision, saving you money and time. The website helps small businesses and individuals in the five boroughs find health insurance options that meet their specific needs and budgets on an unbiased basis. Learn about health care reforms and how they can affect you and your business. You can also learn about the Health Care Law and Sole Proprietors. Learn about your employees' rights and protect your business. The NYS Department of Labor can assist you with safety and health guidelines, unemployment insurance and wage information to ensure your business is abiding by the law. 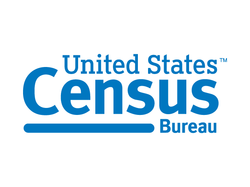 The Census is a great resource to help you identify your market – you can start by clicking on American FactFinder. It also provides business and industry economic indicators, economic census, NAICS, foreign trade statistics, and local employment dynamics.